The much hyped post-Super Bowl Glee did not disappoint. Look how elaborate the Thriller scene is. 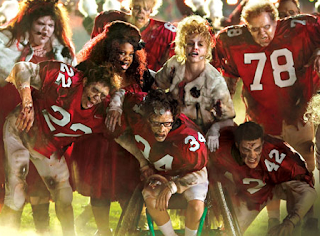 Has anyone pre-booked the cast for next year's actual Super Bowl halftime show? Now that would be a sports show I would tune into.